December 14, 2016 – The Secretary of the Army has approved James B. Johnson Jr. as the new deputy to the commander U.S. Army Space and Missile Defense Command/Army Forces Strategic Command. Johnson, who has been the acting deputy to the commander since September, will be the command’s most senior civilian, providing leadership for the Army’s space and missile defense programs, acquisition, personnel and resource management. Johnson served as the director of the USASMDC/ARSTRAT Future Warfare Center since April 2015. In this position, he outlined general program policy to support the Future Warfare Center’s primary roles in bringing space and missile defense capabilities and concepts to the Warfighter. Included in the Future Warfare Center are the Capabilities Development and Integration Directorate, the Training and Doctrine Command Capability Managers for Space and Missile Defense, and the Directorate for Training and Doctrine. From May 24, 2010, to March 2015, Johnson served as director of the U.S. Army Test, Measurement, and Diagnostic Equipment Activity. From July 15, 2008 to May 2010, he served as director of the Developmental Test Command, Aberdeen Proving Ground, Maryland. On January 7, 2007, Johnson was appointed to the Senior Executive Service. 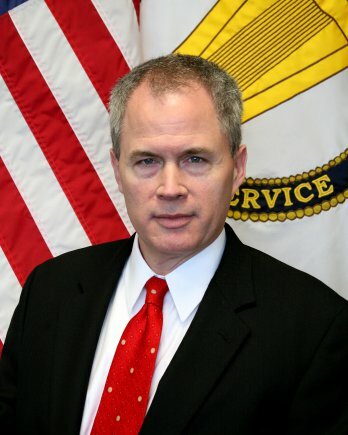 His prior assignments include director of the U.S. Army Redstone Technical Test Center (RTTC), Developmental Test Command, as well as multiple assignments in the Missile Defense Agency, Ground-Based Midcourse Defense Joint Program Office in Huntsville, Alabama; director of Test Operations; deputy product manager of the Test, Training and Exercise Capability Product Office; and chief of the Test Products Division in TTEC. Johnson earned a bachelor’s degree in electrical engineering and a master’s degree in systems engineering from the University of Alabama in Huntsville. He also holds a Master of Strategic Studies from the Army War College, and he is a graduate of the Army Management Staff College and the Advanced Program Management Course.